“I’ve got something special for you!” Sophie grinned broadly as she hurried us into the Land Rover. 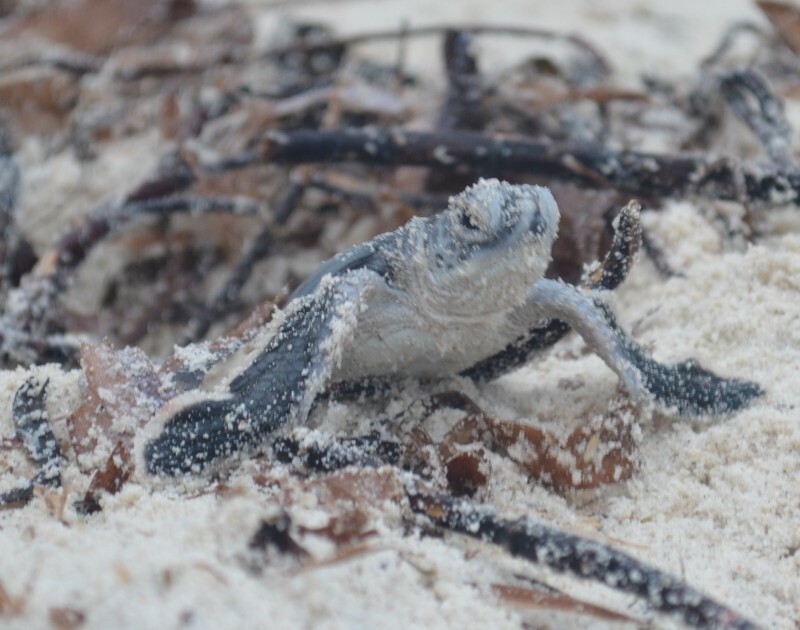 We needed little encouragement: when your safari guide is excited about something, so are you! As we set off, Sophie explained. Wild dogs had been spotted just outside the national reserve’s Oloololo Gate – very near the camp where we were staying. She has seen wild dogs near her home, about an hour away, but she’d never seen dogs near the park. This would be a first! We set off, bouncing over the rocky track. 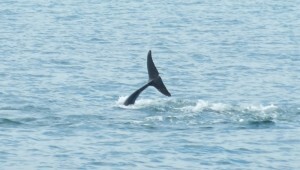 Only a few minutes away, we saw them on the other side of the stream, very near the road. There were two of them, running up the hillside away from the stream. We drove up and killed the engine. There were a number of zebra about, but they didn’t seem concerned. The dogs didn’t look interested: they were trotting along the grass up the hill. 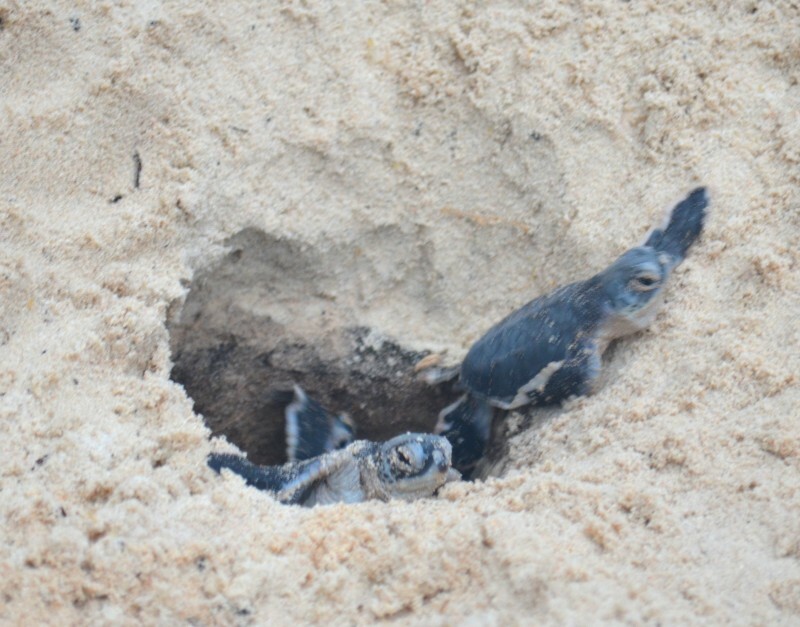 Then they turned and crossed the road – right in front of our car. They ambled off, then one of them stopped and turned. 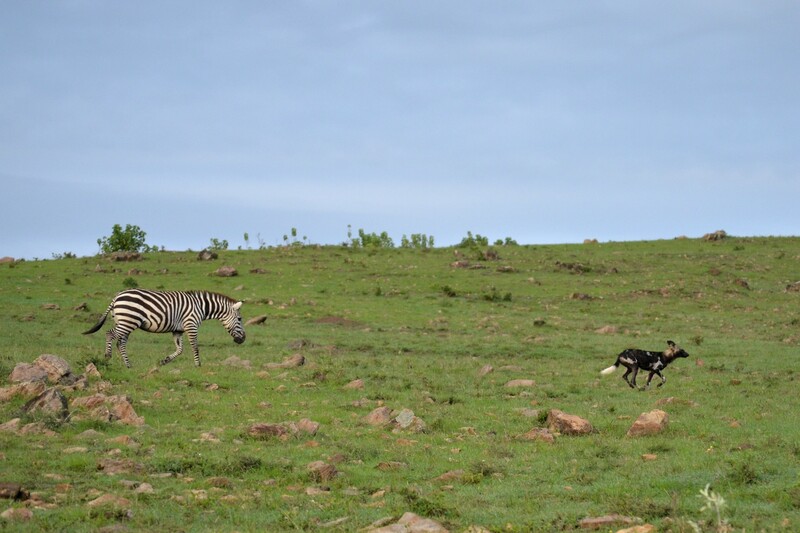 The nearest zebra snorted, and then started trotting – towards the dog! The dog turned and they both took off, with the zebra running after them. 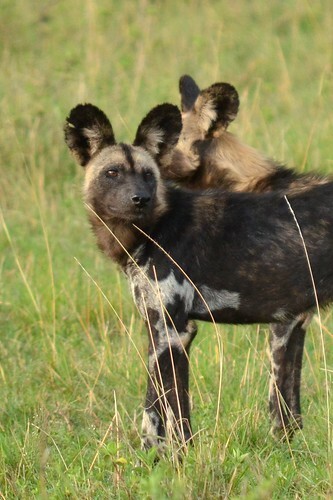 Wild dogs are fierce and effective predators – it was a weird sight to see them being chased off by what should have been a frightened prey animal! We watched them as they trotted up the hill. They zig-zagged between the rocks and trees, then eventually reached the crest and went over to the other side of the hill. The three or four other cars that were parked on the road, watching the dogs, started up and headed off to the gate. We sat and chatted for a bit about dogs and the park. 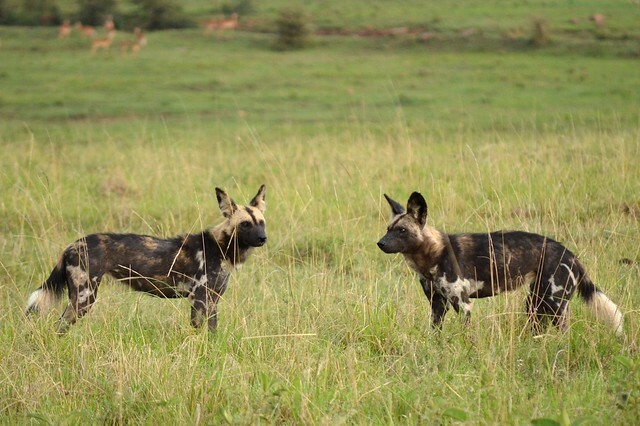 Wild dogs (properly the African Wild Dog, also called Painted Wolves) are very rare in the Masai Mara – many sources say there are no dogs in the park. Although they are effective hunters, they have been wiped out in the Mara by Canine Distemper Virus, which spread through their population from domesticated dogs in the area. Although they are a completely different genus & species (Lycaon pictus) from domesticated dogs, they are vulnerable to various canine diseases. 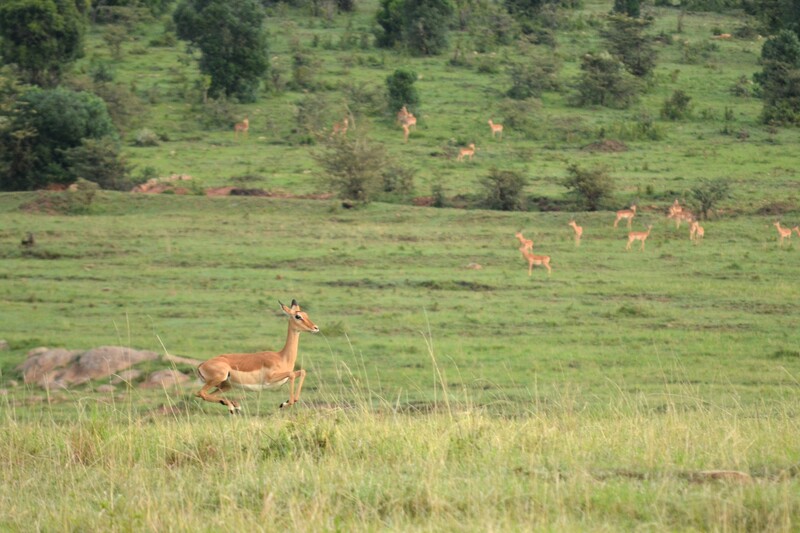 After a few minutes, we noticed impala running over the top of the hill towards us, leaping through the grass. 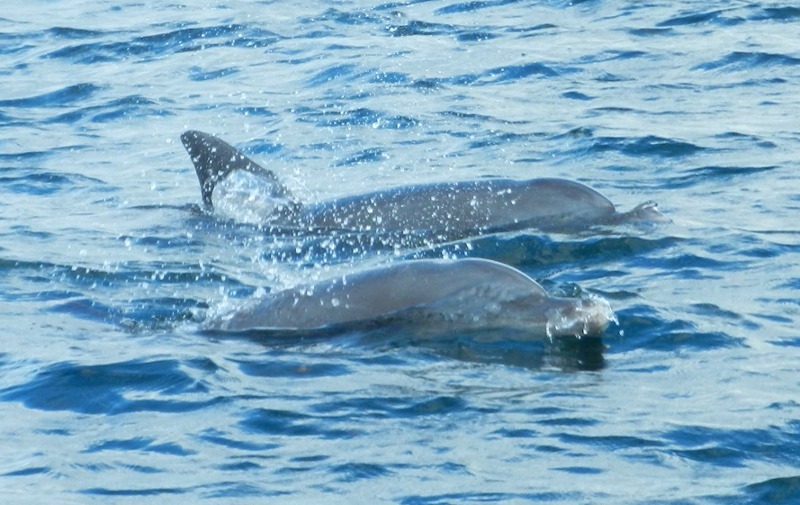 Something had set them up – they were moving very quickly. Then we saw them: the dogs were coming back! They were chasing the impala, looking for their morning breakfast! The impala ran parallel to the road, moving forward over the crest of a hill. We drove up to have a better view. 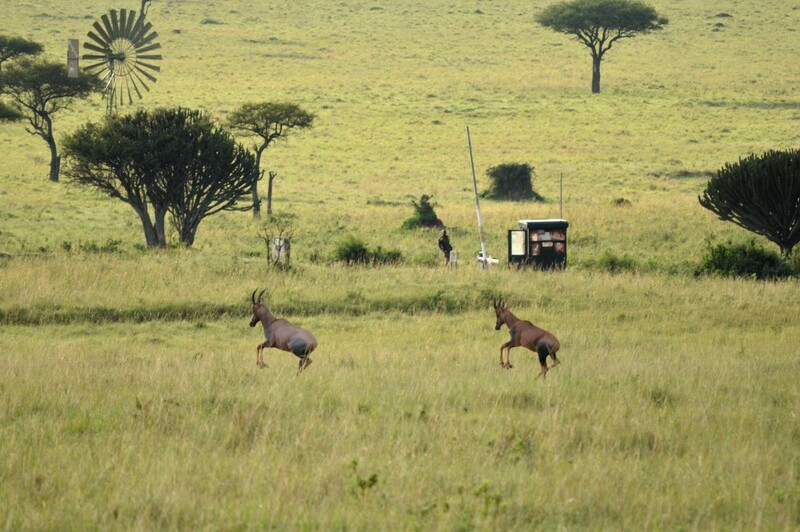 The impala ran through a big grassy field and on into a wooden thicket. The dogs came after, dodging and trying to cut out one of the impalas. Then they stopped short and looked off towards the woods. 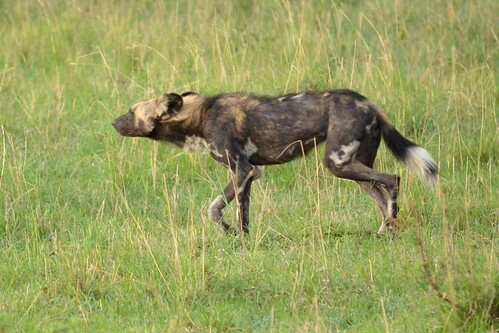 A hyena had come ambling up – obviously hoping to gain from any kill the dogs made. 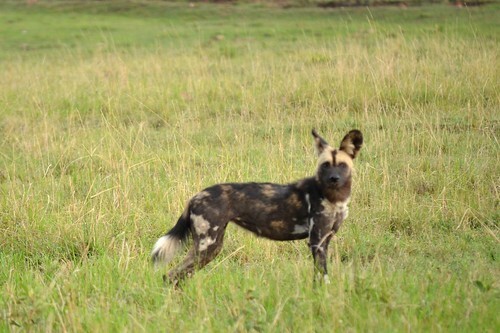 The dogs lost interest in the impala and started chasing the hyena, who turned tail and ran into the woods. We watched and waited, hoping we could see when they left the woods. A couple of other vehicles had come up and had seen a bit of the dogs. The drivers chatted a bit, and then the other vehicles drove off. We waited. We’d talked with Sophie about the different types of guests on safaris. Some are interested in ticking things off their list: they get to where an animal is, stop and take a few photos and then drive on. 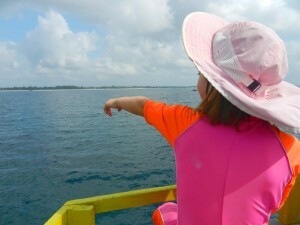 Others want to sit and linger, watching the animals’ behavior and enjoying the sounds and environment. We definitely were in that group. 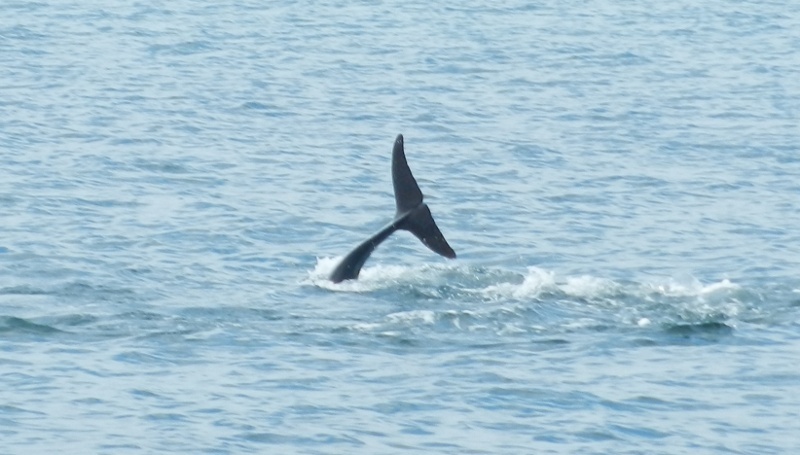 We were quite happy to sit and wait for a while, hoping we’d see more of these animals. “There they are!” As we were starting to give up, we spotted them: they were on the far hillside, still chasing off the hyena. We drove off to get closer. We caught up with them in a grassy field just above the gate. They had lost interest in the hyena and seemed to be scoping out the territory. There were topi down near the gate and the dogs started stalking them. The topi quickly took off, leaping and running. The dogs didn’t give chase, but turned and started ambling off away from the gate, back up the hill. We watched as they moved off. At one point they gave chase to another herd of impalas, but again lost interest and made no kill. A couple of park rangers came up and chatted with Sophie about the dogs – where we’d seen them, what they’d been doing. The rangers drove off and tried to keep closer tabs on the dogs, but we had had our fill. The dogs were doing what came naturally: ranging the area, chasing prey. They didn’t seem too desperate to make a kill that morning – although there were only two, they certainly could take down an impala. Perhaps they’d eaten recently and weren’t too much in need of food. They seemed to be willing to take an easy kill but weren’t going to work too hard for it. We headed off and enjoyed the rest of the morning in the park. 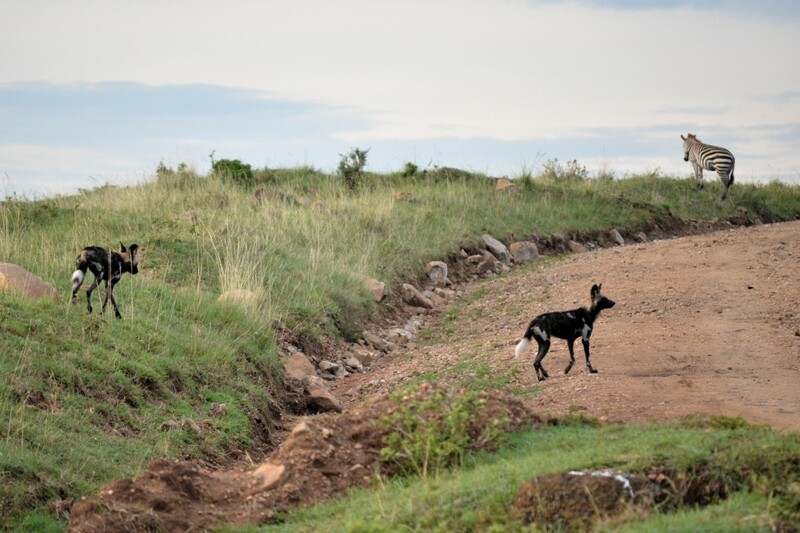 Although we saw some other fantastic sights – from impressive rhinos to common but charming mongoose – nothing really came close to the time we spent watching and following the dogs.